Показани 21 - 25 от 227 Съвпадащи проекти. 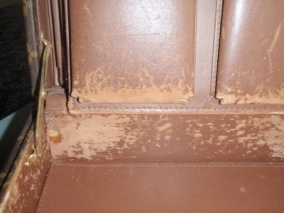 This Louis Vuitton briefcase came into us in quite bad condition. A lot of the leather inside was too damaged and could not be repaired in a long lasting condition, so we replaced the leather for the inside. The edges where a little damaged on the outside, especially the corners so we fixed them with fillers and added more colour to them. 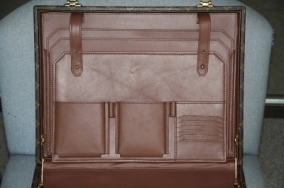 The transformation of the inside was amazing and our customer now has a briefcase like new! 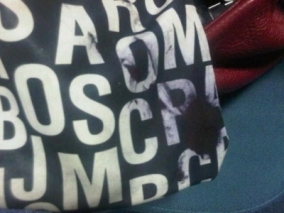 This Marc Jacobs bag came into us with bad ink stains. A pen had leaked in the inside pocket and seeped through onto the outside leather. 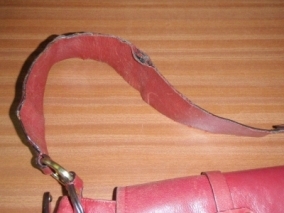 This picture shows the worst area, the inside pocket, we removed the ink from the leather as well. It took a lot of attempts to completely remove all the ink, but as you can see we got great results in the end. 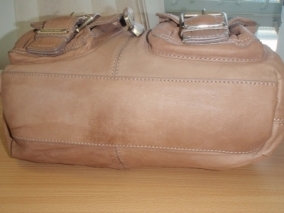 This Michael Kors bag came to us with very bad stains on the bottom, and also dye transfer on the front. 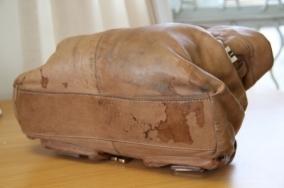 We cleaned the bag and added a coat of Protection Cream. This came up very well, and our customer was over the moon with the results. This was all achieved by cleaning only. 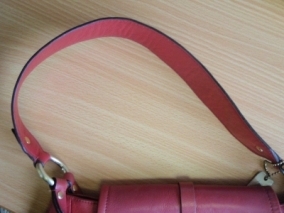 This handbag came to us with with very bad colour fade. 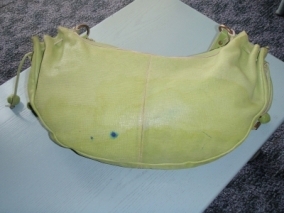 We matched the colour from the inside where the colour had not faded as much and re-applied it to the bag. Our customer could not believe the results. 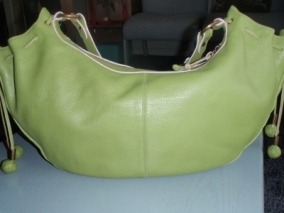 This DKNY bag had seen better days, it's handle was warn and tattered. We removed the handle and re-created a new one to exactly match the original. 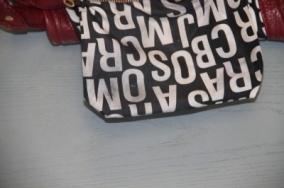 There was also some wear and tear damages to the corners of the bag, which were also fixed during the process.